For the last year, I've spent my time training and focusing on ultra-length mountain running adventures with a 10-30 hour time frame. 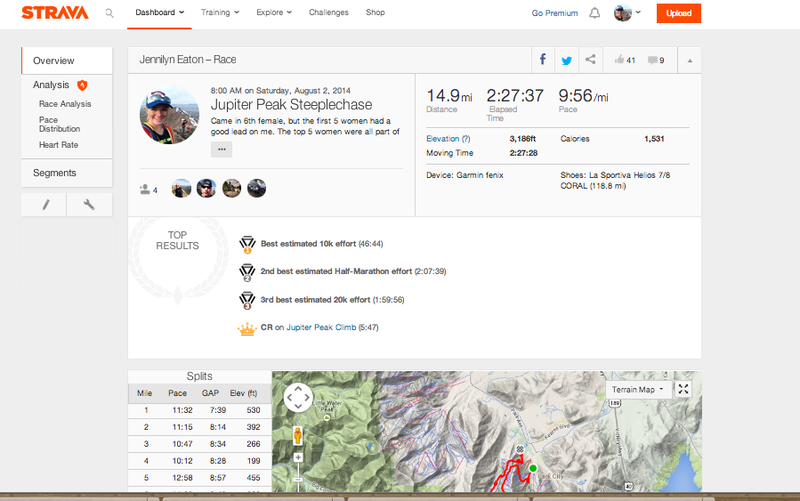 Jupiter Peak was the first non-ultra trail race I've done. In all of it's 15-16 mile glory (some debate there), I was a wee bit nervous. "Well where in the pack do you run in ultras? Front, middle, or back?" "It's all relative til mile 60 or 70, right?" I chuckled... And received a blank stare back. My ultra humor wasn't funny here. Waiting at the start with the utlra crowd, we watched the mountain cup elite runners warm-up. WARM-UP. ha! Something I haven't seen in ages! They were doing hill sprints. "Lunges! OMG, look, they're actually doing lunges!" A friend pointed out. Yep, you don't see that at an ultra. Trail Scene Difference #1: People warm up and take it seriously. Right off the line the front of the pack sprinted. Whoa. I looked down at my legs. Sprint, I thought, surely you can move faster! But my legs were gurgling at being forced to run uphill and wouldn't listen, so I watched 50 people fly by right in front of me. The first 4 miles or so were the hardest for me. It was just at that angle where it was barely runnable. An angle that in any 100 everyone would be power-hiking. But these SFD (short fast distance) runners were all running and I was just trying to fit in so I ran too. In an 50mile+ ultra, when you pass or are being passed, usually get the other runners name, where they're from, when they came into town, did they see that poor sucker back there puking?, how the weather's been the last couple hours, and a funny joke if they have one. It's quite pleasant. In the SFD, there is a language of heavy breathing and grunts. Heavy breathing beside your right ear means they're passing on the right. A grunt means "thanks" or "you *** you should've scooted over more," I'm not sure which. Debatable. For an example, watch this video at 00:51. Gives a good example of this new-to-me language. So when I'd latch onto the pace of a runner in front of me I had to be very careful to keep my breathing quiet or they'd scoot to the side of the trail for me to pass. So weird. "Just breathing dude! Thanks!" The aid stations had powerade in cups, with volunteers holding the cups out so you could grab it while running and toss in the trash down the trail. It was like a road 10k! And it was powerade. I thought that went out of style when the Laker's weren't cool anymore. Maybe that was just gatorade. 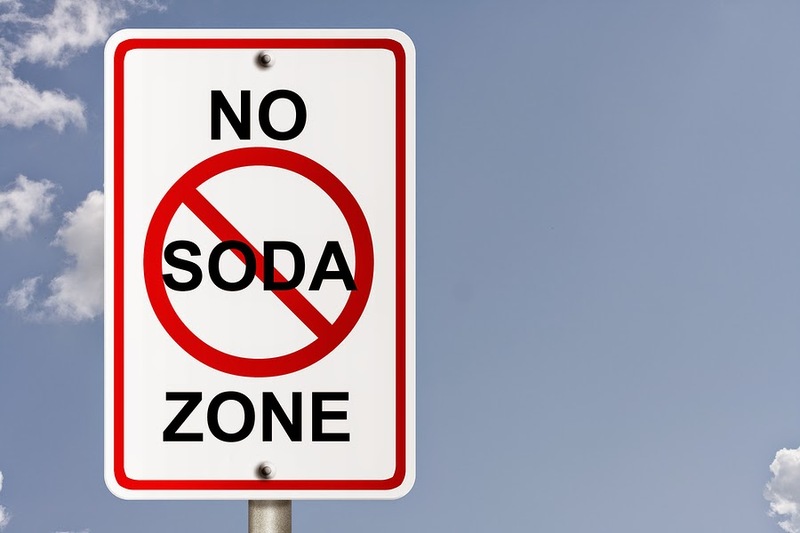 But all the runners around me drank powerade at every aid station, so I concluded sports drinks are the coke of the SFD. Around mile 6 I was cursing the amount I had just run, it was exhausting! Where was my walking break? The Too-Much-Running-Meter inside me was firing alarms like crazy. And just after mile 6 the heavens opened to a beautiful loose grunt to the top of Jupiter Peak. My arms shot up~ "Woohoo! Walking break!" I shouted loudly. I received a handful of weird looks. 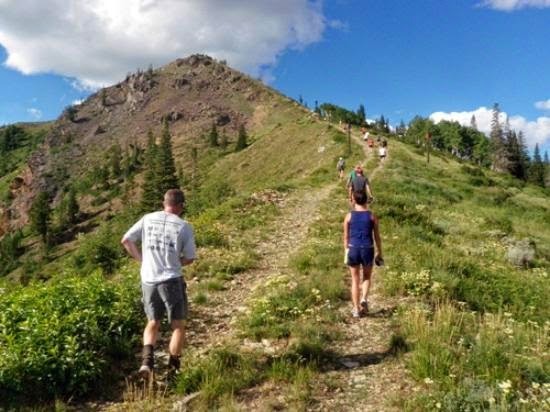 In training I powerhike more frequently than I run uphill, so I loved every step of it. 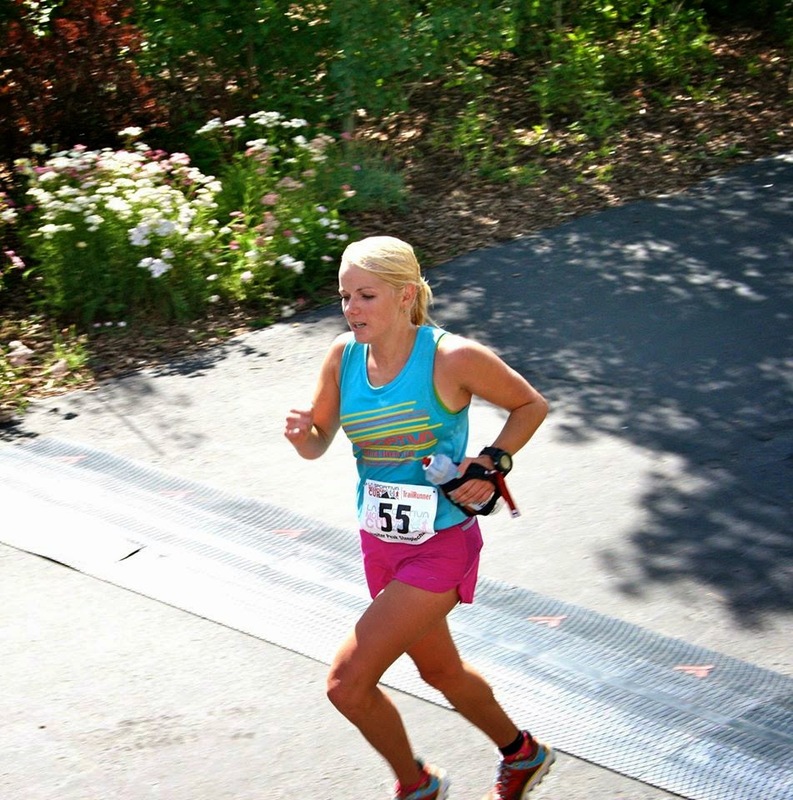 I slowed my heart rate, stretched the legs, and passed a handful of guys. There should be more of this powerhiking in races! Oh wait, there was... in ultras. I was nearly crying with joy. Nearly. Photo courtesy someone else I pilfered this from. Between peaks I was starting to think that these SFD runners weren't human because I hadn't seen a single runner off in the bushes. Maybe it's because I run with guys that pee every 1/10th mile but seriously, we were nearly 90mins into the race and not a single bathroom break yet? But finally I saw a guy run off the trail to a tree and immediately felt more at home. Running down I gave up on the heavy breathing/ grunting language (must take longer than a single race to master) and kindly said "Thank you sir!" to people when they let me pass. Not sure why I said sir, but figured it was a good substitute to an audible breathing noise. Around mile 10 I gave in and took a salt pill. I felt like I was cheating, salt pills are banned substances in races this short! But I couldn't resist and I had packed one... It was miraculous in the heat. Somehwere running down I gave up a bit. It was hot and I was bored of the buffed out trail, my mind could wander too easily on such flat trails and I didn't feel like pushing. A few minutes after I mentally gave up I hit pavement and saw the finish line. Already? But, but.... I was going to feel better soon! I bet I'd pick it up again in about 8 more miles! I tried to grind out a sprint to the finish. I was eager for my reward of a cold coke. Ok, so I expected them to not have coke at the aid stations. But I had promised myself some nice cold coke at the finish. Surely they'd have some. So when they handed me a bottle of powerade (seriously? powerade?! again?) I asked for a coke. I received a confused blank stare. "You know, like soda? I'd even take a pepsi? Do you have any soda?" I was informed they only had powerade. I sighed and took a bottle. Trying to fit in with the SFD runners was hard work. So I wandered around hoping to locate coke to buy, I mean seriously, we're trail runners right? There's gotta be coke around here somewhere... Right. But apparently coke is an utlra runner thing. So the lack of coke anywhere made me a bit eager to leave so I could find a gas station and get the beloved cold coke. I was thinking I could slip into the top 10 women with a time around 2:37, but I beat my time goal by 10 minutes and ran in at 2:27 for 6th. The 5 women in front of me all ran in from 2:02:58-2:08... all within a few minutes of eachother and more than 20 minutes ahead of me! This was the last race in the La Sportiva Mountain Cup and they were eager to solidify their standings. They are crazy fast!! because I'm addicted to strava. I was able to meet a lot of the Mountain Cup racers and other members of the La Sportiva team. It was great to meet Maria Dalzot--she is on my list of people I cyber-stalk because she's an incredible athlete. I admitted I follow her and am fascinated and amazed with how fast she can run! She told me she reads my blog, which surprised me as well. :-) Small world! We chatted about what our training weeks look like. I am inspired to integrate actual running back into training (have nixed that after Buffalo 100M) and also try to integrate some speedwork to help me run a little faster. The science of what she does sounds complex... but maybe I'll start with mile repeats or hill sprints or something. 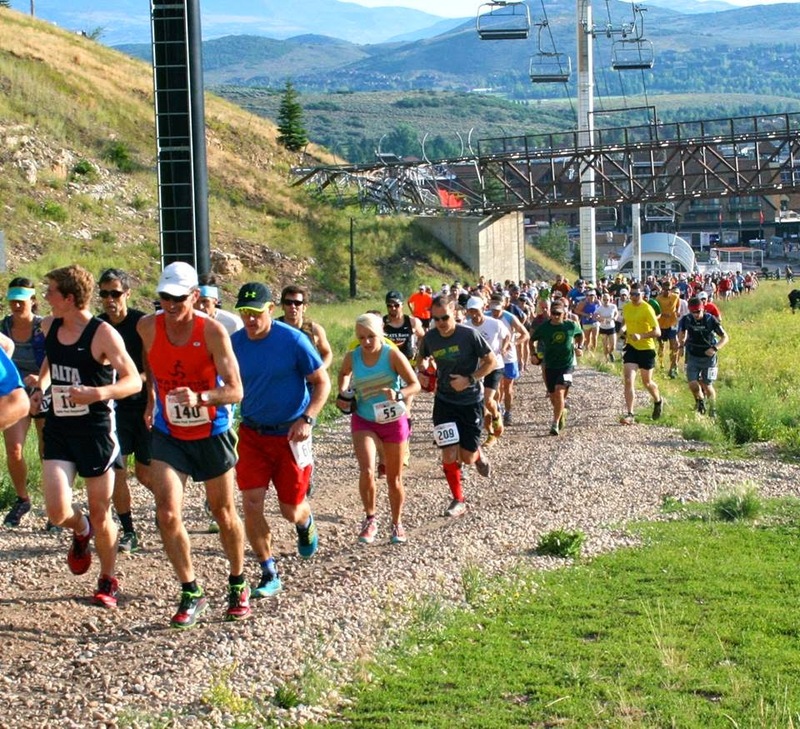 The race itself was organized and executed flawlessly and I was impressed with the quality of the event and volunteers. Overall I had a great experience at my first short-race-distance. I won't be changing sports any time soon! (I lack the self-discipline to train for stuff like that!) But I won't shy away from doing a similar race in the future. Great report. My experience and perceptions are pretty much right in line with yours. I felt like a visitor in a foreign country. It was nice to visit, but I prefer the comfort of home. Hope to see you soon. Love the report. I wish I would have kept up with your pace (I finished 20 min behind you) because I really wanted to talk to some people but everyone looked like they were in so much pain! Most of the race I was looking at the scenery, laughing to myself, and getting some funny looks. I'm working my way up to ultra distances and can't wait to be a part of that culture (I volunteer at the Salt Flats 100 and love talking with all the runners as they come through our aid station). Thanks for the report! Glad to see someone else's perspective of the race. Peeing, Coke and hiking- I am a fan. Brilliant report.